These are the best things ever. They are. You have to try them. I am not a baker and I generally eat grain-free, but I challenged myself to make a decent gluten-free, egg-free roll for my son one year for Thanksgiving. Mission accomplished. Oh these are so tasty! This recipe is modeled after Pioneer Womans cinnamon rolls and they are worth the effort. I now make them regularly, usually with ham and sausage wrapped up in them middle. 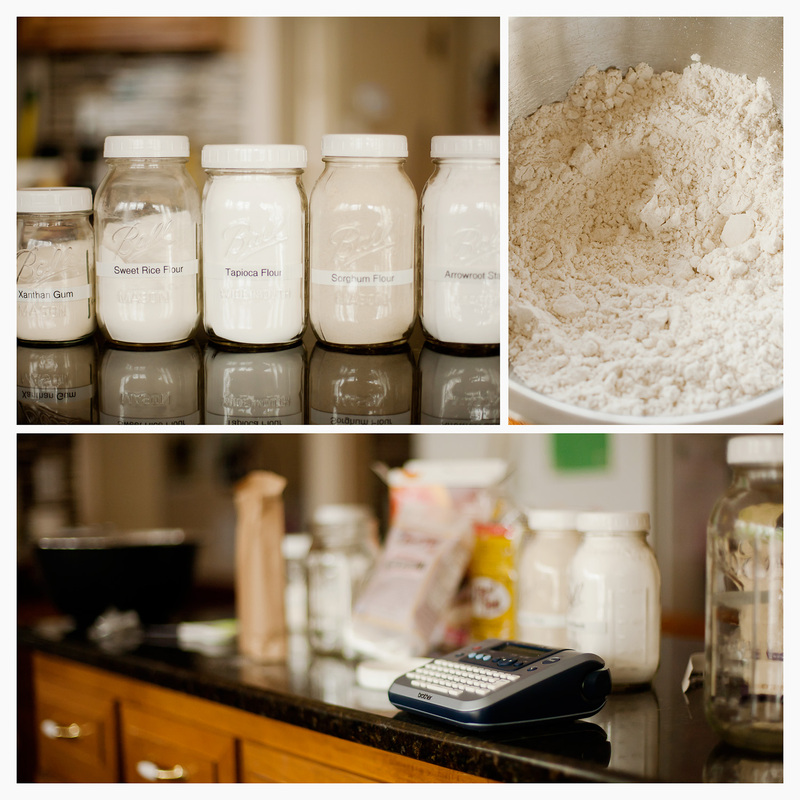 First, let's talk gluten free flour blends. Oh what a wide and winding path to go down! There are so many options commercially available and for mixing on your own. 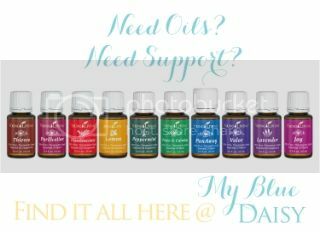 Gluten free flour is an entire series of posts on it's own, so I will just tell you that my current favorite is Namaste All Purpose Gluten Free Flour. And it ranks as our favorite simply because it is nut free, legume-free, dairy-free, egg-free and potato-free. My girls are intolerant to potatoes, and they react severely. Unfortunately for us, more and more companies are adding potato flour and potato starch to their flours and products. So currently, I either mix my own flours using xanthum gum, arrowroot starch, tapioca starch, sorghum flour and sweet rice flour, OR I buy the Namaste. Please feel free to use your own favorite Gluten Free flour blend in this recipe. 1. Pour coconut milk into a 1 qt measure and add water to bring the volume up to the 1qt line. Whisk gently to combine. Combine this now diluted coconut milk with the sunflower oil and sugar in a large sauce pan. 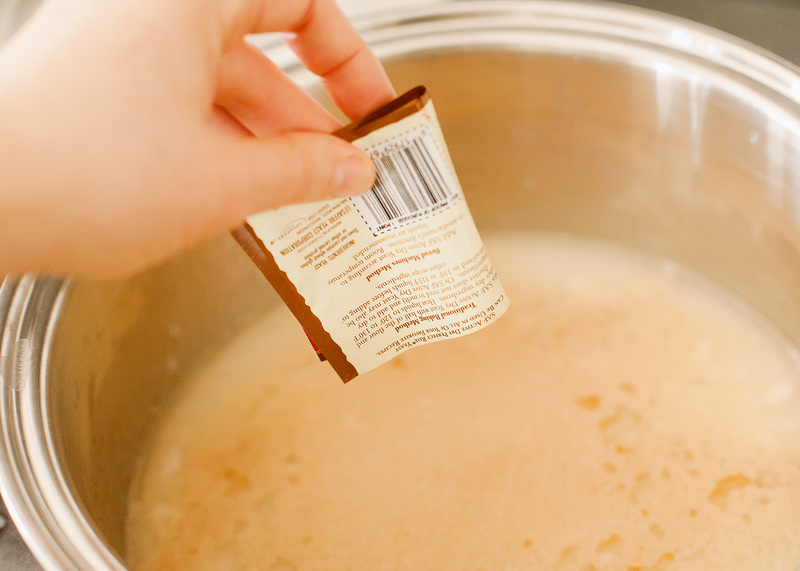 Heat the milk, oil and sugar over medium heat to just below a boil. Set aside and allow to cool slightly. While still warm, but not hot, sprinkle the yeast over the top of the liquid and let it sit for one minute. 2. Add 8 cups flour and stir until just combined. 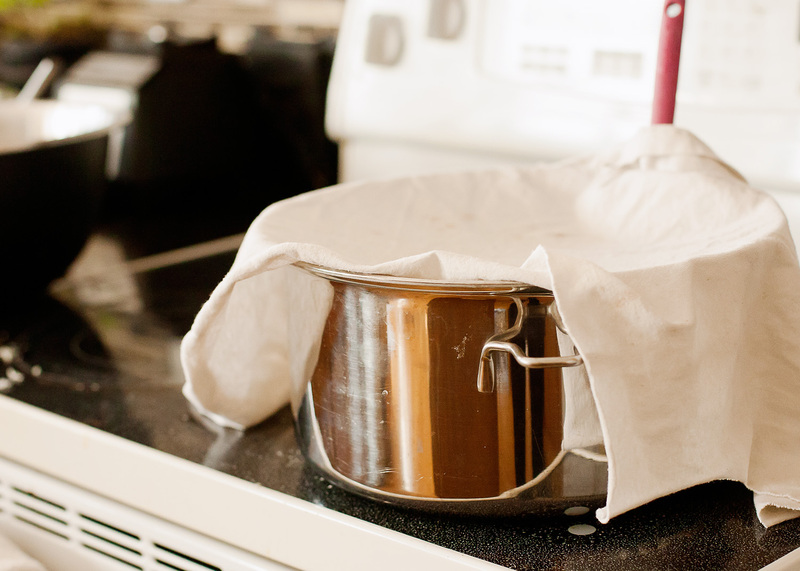 Cover with a clean kitchen towel and set in a warm spot for 1 hour. 3. After 1 hour, remove towel and add the baking powder, baking soda, salt and the last cup of flour. Stir to combine well then chill for one hour. Your dough is ready! 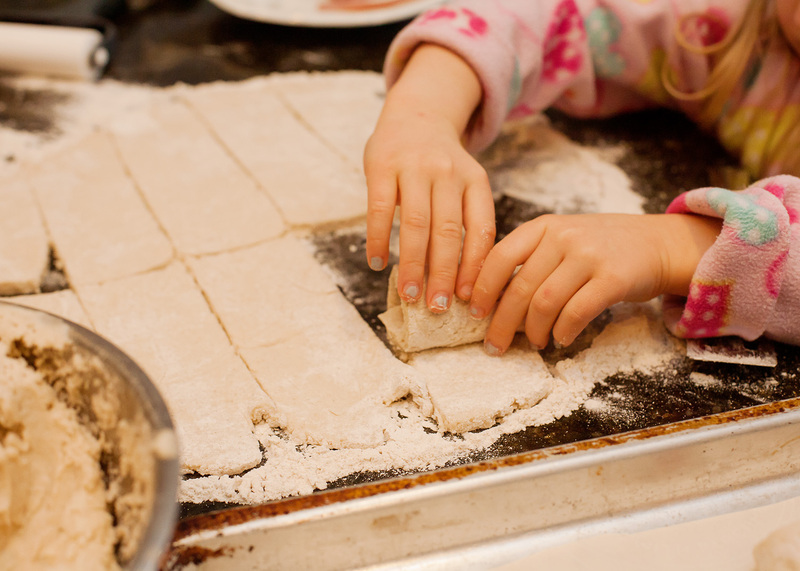 (Anyone spend winter weekends kneeding bread dough at your Grandma's? 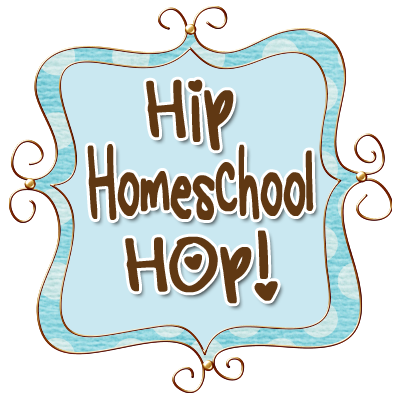 I love those memories, but they also remind me that this recipe is so much easier than that.) At this point, you may use the dough as is or you may keep it covered in the refrigerator for up to 3 days. 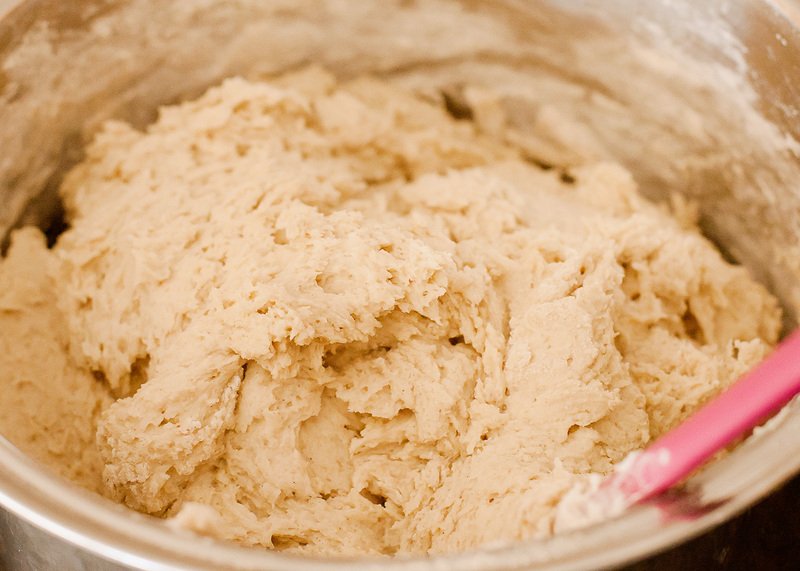 Punch the dough down as needed if left in the refrigerator. 4. Preheat over to 375 degrees. Prepare half the dough at a time, leaving the remaining dough in the refrigerator. It just works up better if the dough stays chilled. 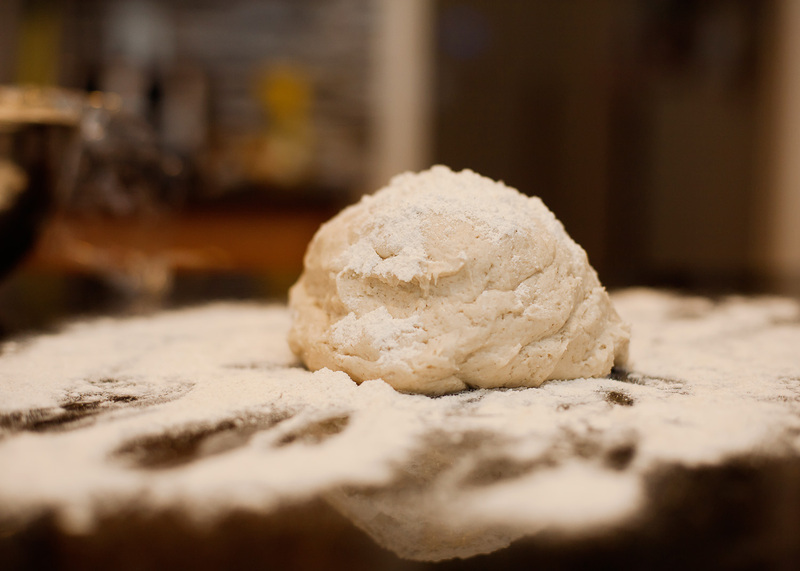 On a nicely floured baking surface, pat your dough out into a thick, even circle. 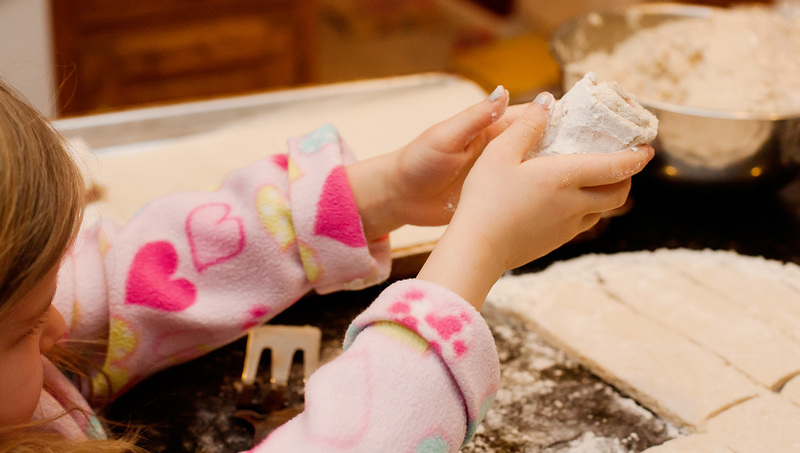 Use a rolling pin to roll the dough out very thin, approximately 1/4 inch or less. Slice into strips about 1.5 inches wide. 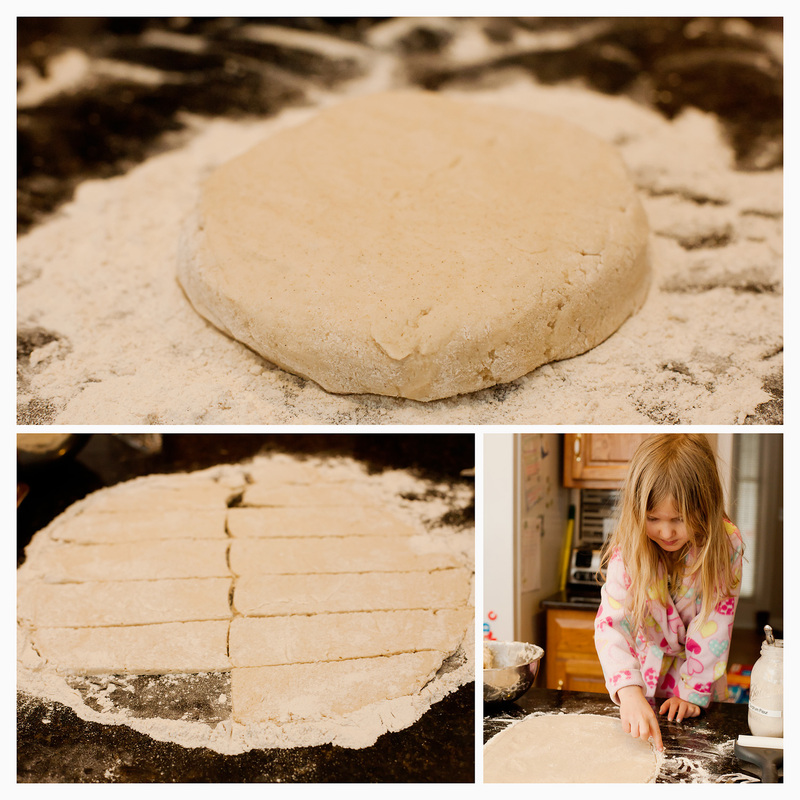 For crescent shapes, slice the rolled dough into pie wedges. 5. For crescent rolls, lightly brush the cut dough with melted Earth Balance (or butter of your choice). 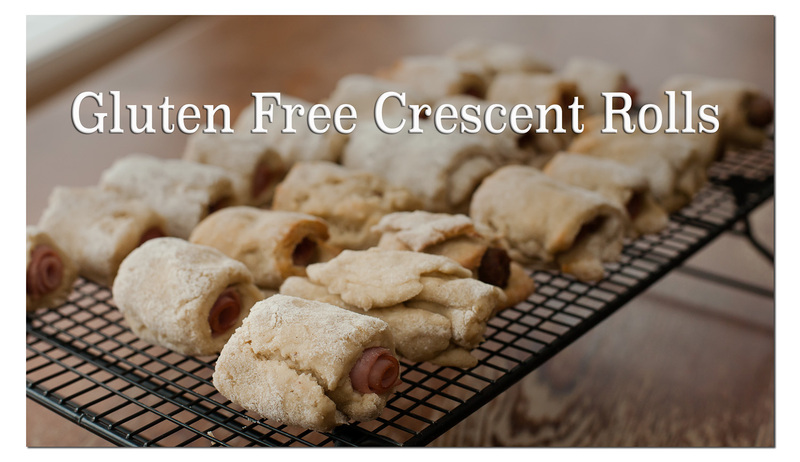 The roll up into crescents or rolls, pat the extra flour off, and place on a baking sheet. 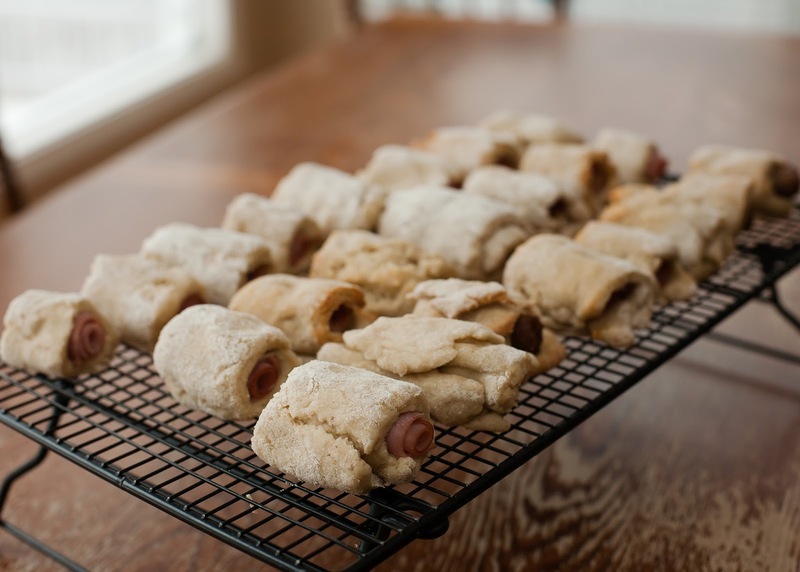 For ham or sausage rolls (my son's favorite), place a slice of fully cooked ham or sausage at one end and roll up inside the dough then place on a baking sheet. 6. Bake for 25 minutes, or until golden brown on top and done all the way through. By the way, these freeze *really* well. I always make a double batch and freeze them. I pull them out of the oven before they hit the golden brown stage and allow them to cool before sealing in freezer bags. Each morning I can pull out a single meal's worth of ham rolls and pop them in the oven while we get ready for the day. 7. Cinnamon Rolls. This dough works really well as cinnamon rolls, too. It does not make a light and fluffy cinnamon roll. It's more of a dense, but delicious, confection. So make this adaption, go back to step 5. After you brush your dough with Earth Balance, sprinkle it liberally with cinnamon and sugar. 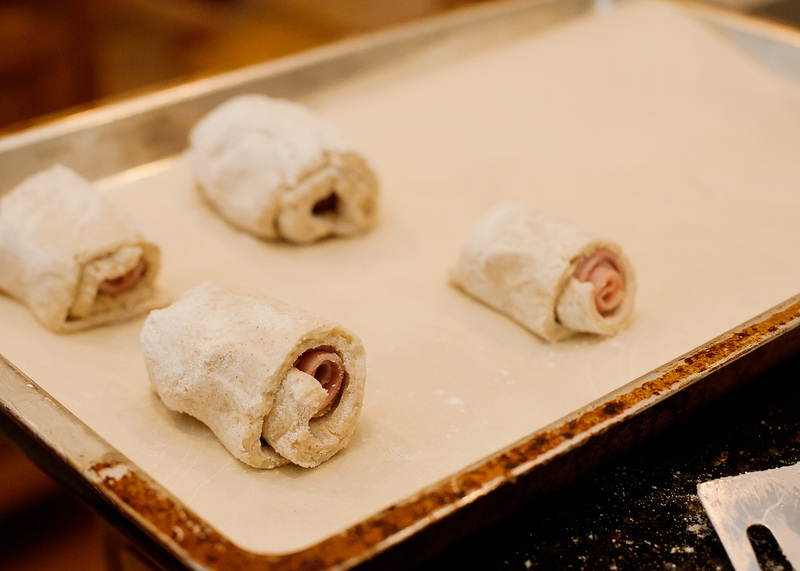 Roll and then place on your baking pan. Feel free to top with more butter, cinnamon and sugar as fits your sweet tooth. Enjoy. 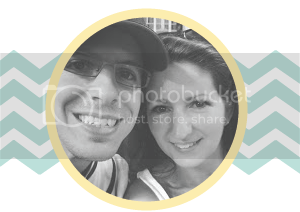 Please let me know how you like them!